1. 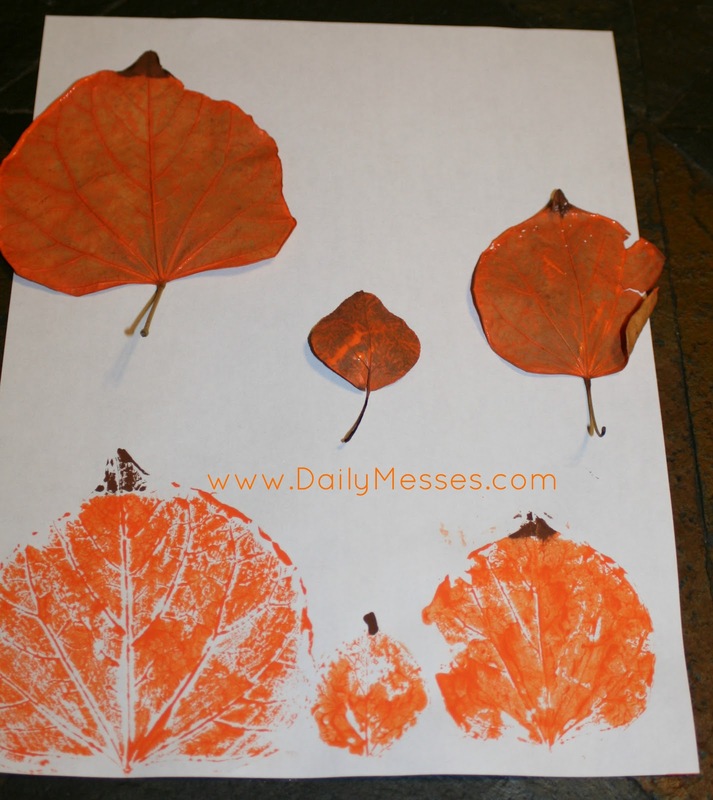 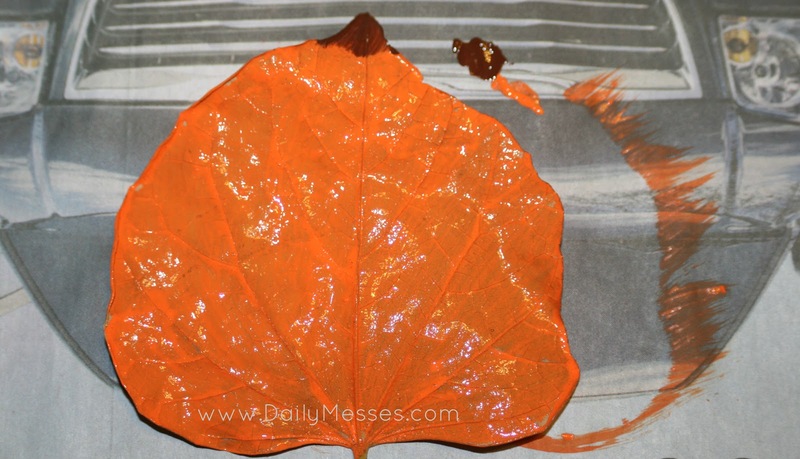 Lightly brush a coat of orange craft paint on the bumpiest side of the leaf. 2. 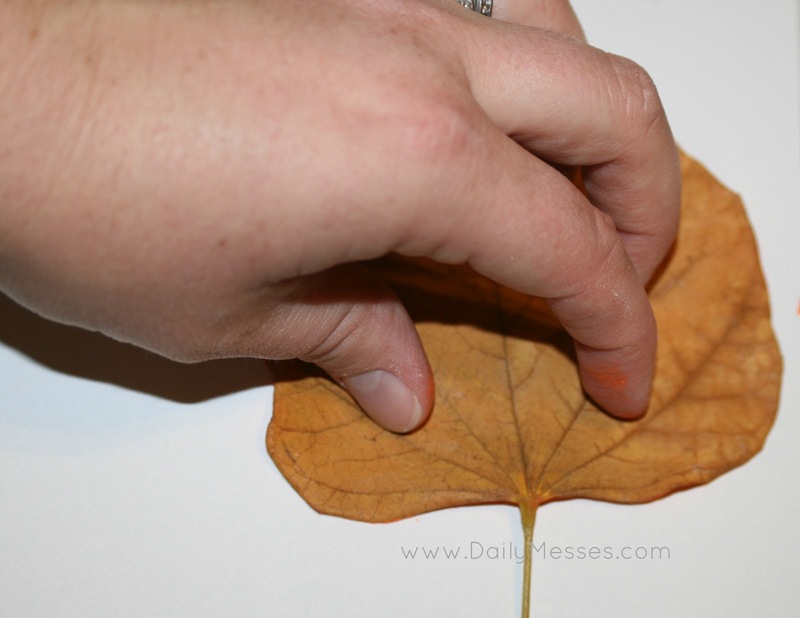 Press onto the piece of paper. 3. 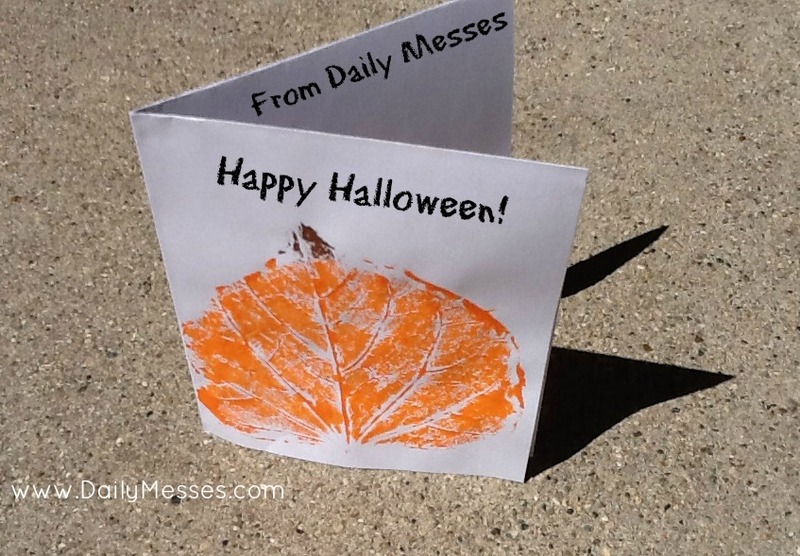 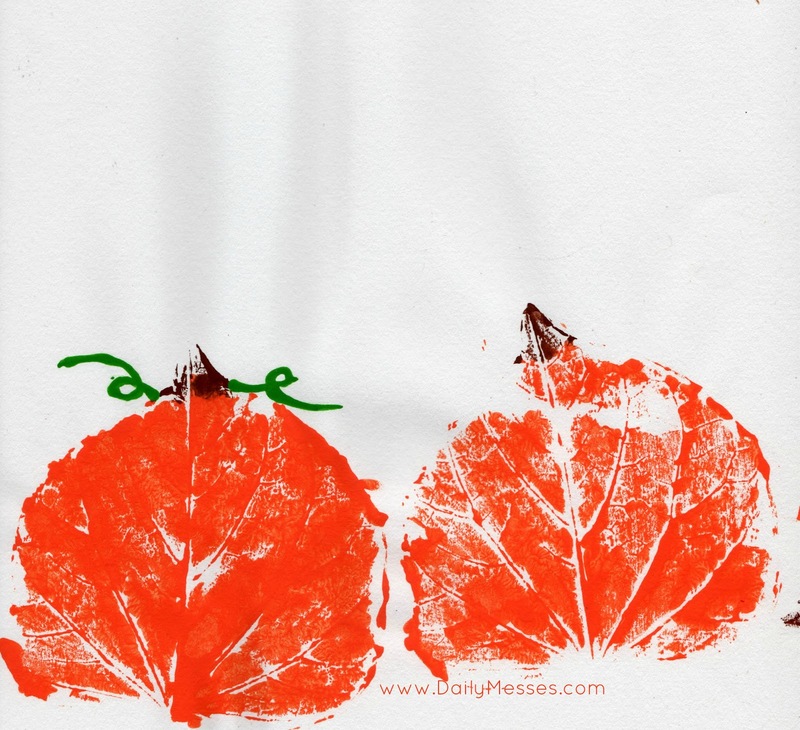 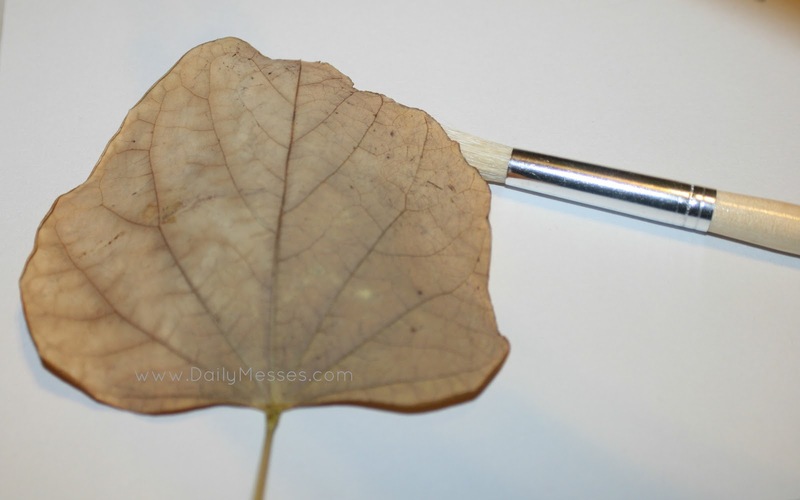 Using paint, draw on a stem, leaves or vines.